U.S. 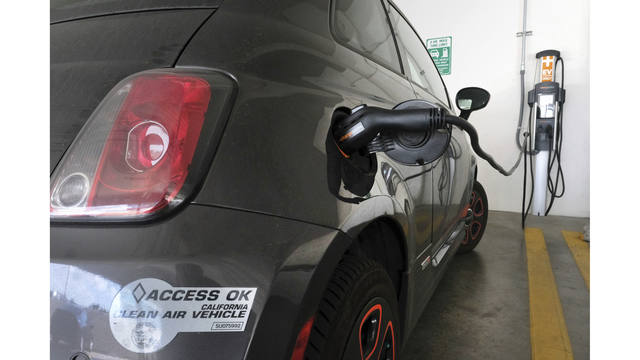 Senators Debbie Stabenow (D-MI), Gary Peters (D-MI) along with Congressman Dan Kildee (MI-05) introduced the Driving America Forward Act, bipartisan legislation to expand the electric vehicle and hydrogen fuel cell tax credits. Sales of electric vehicles increased by more than 80 percent in 2018 and two manufacturers have already hit the lifetime cap of 200,000 units. Under current law, after an automaker sells 200,000 qualifying vehicles, consumers are eligible to receive the full value of the $7,500 tax credit through the calendar quarter after the cap is hit. The value of the credit to consumers from this automaker then decreases to 50% and 25% over the next 12 months before being phased out entirely. The Driving America Forward Act raises the cap by allowing purchasers of an additional 400,000 vehicles per manufacturer to be eligible for a $7000 tax credit. Consumers can receive the full value of a $7,000 credit through the calendar quarter after the 600,000th vehicle is sold. The value of the credit to consumers from this automaker then decreases to 50% before being phased out entirely after six months. The bill maintains the $7,500 tax credit for the first 200,000 units sold. The Drive America Forward Act also extends the hydrogen fuel cell credit for ten years, through 2028.